OVERLAND PARK — A ministry for divorced Catholics and those currently going through a divorce, entitled “The Call to Love Again,” will start a new session in early September at Church of the Ascension here. The six-month course is open to all. 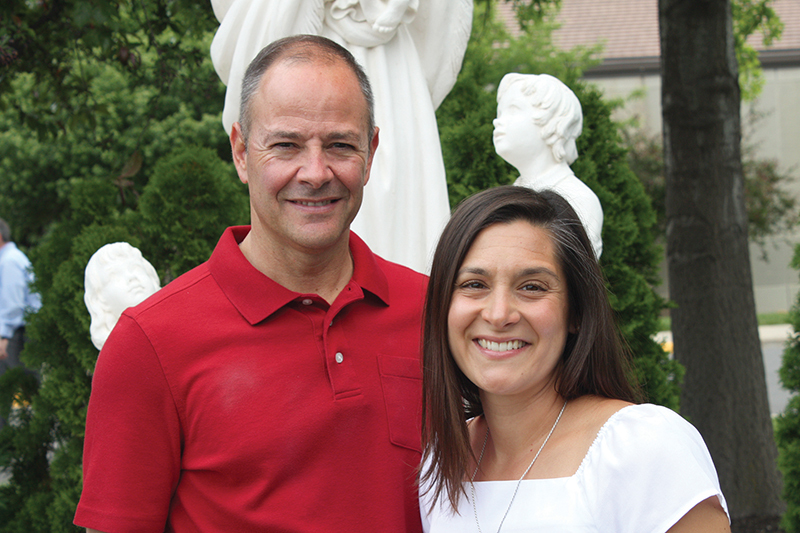 “‘The Call to Love’ Again ministry accompanies those who are divorced or experiencing marital separation by offering a formation series based on biblical principles for relationships and helping them develop a deep prayer life,” said Kate McKeag, an Ascension parishioner who helped develop the ministry. Michael Palitto, an Ascension parishioner who helps facilitate the course, emphasized that the teachings were not his words or those of McKeag. “A lot of the content is out of the Catechism [of the Catholic Church],” said Palitto. “We teach a lot of Pope Saint John Paul II’s work in love and responsibility, which he talked about in his theology of the body. Many priests serve as guest speakers at the sessions. Participants will meet the first and third Thursdays of each month. Every first Thursday of the month will focus on the content presented, said McKeag, and the group will also pray together. The third Thursday of the month is more casual, where participants review the previous session with further discussion, questions and answers. “The Call to Love Again” was first offered from January through June of this year. Beyond its stated objectives, it was based on the “Divorce Survival Guide,” a 12-week course facilitated by a Catholic counselor who has experienced divorce. The course is also offered at Ascension Parish. “What we were noticing was when people were finishing that session, they were feeling, ‘OK, what’s next?’” Palitto said. “So out of that was what Kate was called to by the Spirit — the ministry that came alongside these people who are suffering from, or transitioning out of, broken marriages. Palitto and McKeag are no strangers to the topic of their ministry. Both are divorced. Palitto has had his marriage annulled. McKeag is in the final stages of the annulment process. They are also aware of the statistics that show that when Catholics divorce, they tend to leave the church. Perhaps they start dating a Protestant and don’t know where a potential relationship might lead them. Or perhaps they feel judged by the church and maybe don’t feel worthy of the sacraments. McKeag added that people who were seeking to remarry were wondering how to do it differently than they had the time before. “We called it ‘The Call to Love Again’ because we’re all made to love,” she said. “We’re all seeking love.